Our "Ron Yokubaitis Internet Community Leadership Award" 2017 recipeint will be Elliot Noss, the Chief Executive Officer and President of Tucows, Inc. The award will be delivered at a ceremony on May 3rd in Washington, D.C., during the closing ceremonies i2Coalition's yearly Washington, D.C. Fly-In. Our fourth annual Fly-In will take place on May 2nd and 3rd. The event brings together business leaders from across the Internet's infrastructure in Washington, D.C. to advocate for a free and open Internet. Noss will also serve as the keynote speaker for the ceremony held on May 3rd to close the two day event. i2Coalition Executive Director Christian Dawson stated "Elliot has been challenging industry norms since the early days of the commercial Internet. He is one of the Internet's most effective champions for users' rights during that entire period." Dawson continued, "Elliot sees beyond the business. 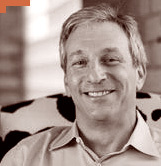 He works diligently through his role at Tucows, his involvement in ICANN, and his personal efforts. He identifies important opportunities Internet infrastructure providers have to bring positive change in the world. Elliot has lobbied, agitated, and educated to promote and protect the Open Internet around the world. We are proud to have him as our Internet Community Leadership Award recipient and keynote speaker for our 2017 Fly-in event." Local Time: Wednesday, April 24, 2019 09:29 PM PDT – Page Load: 0.2635 Sec.